Hello friends! 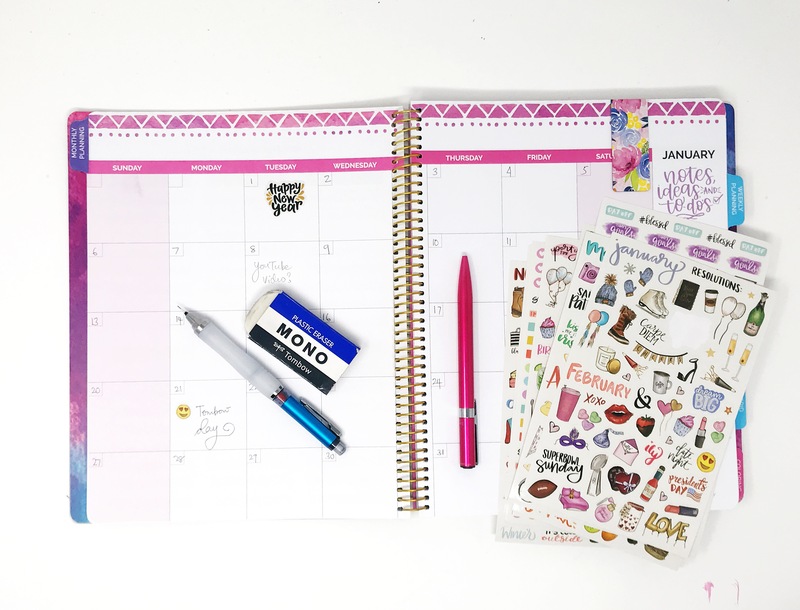 Smitha here and today I am setting up my planner and getting my thoughts organized. 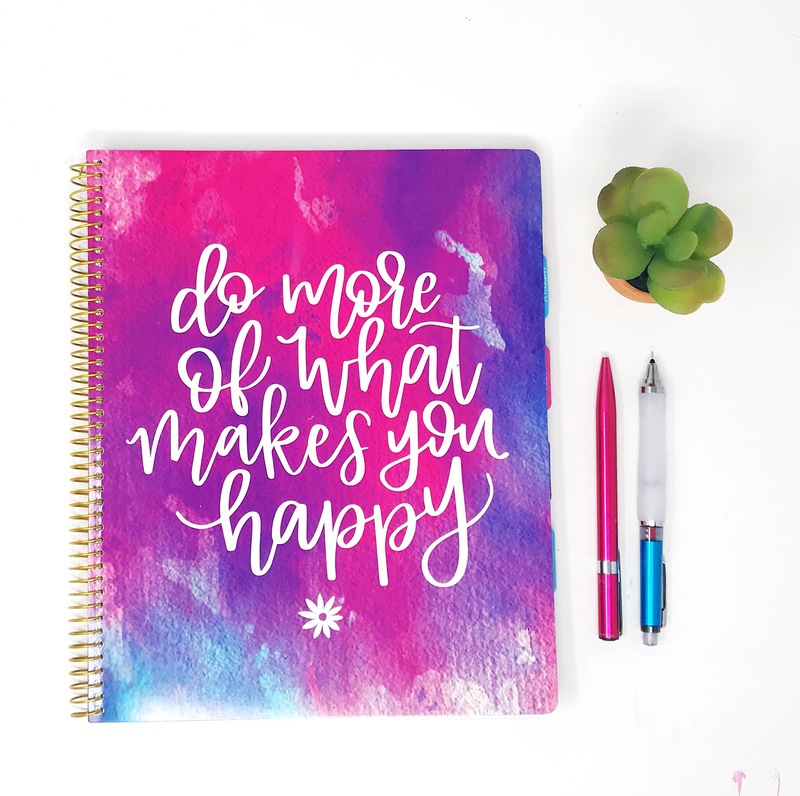 A new year calls for a new planner and I’m excited to use this Bloom Daily Planner one this year! 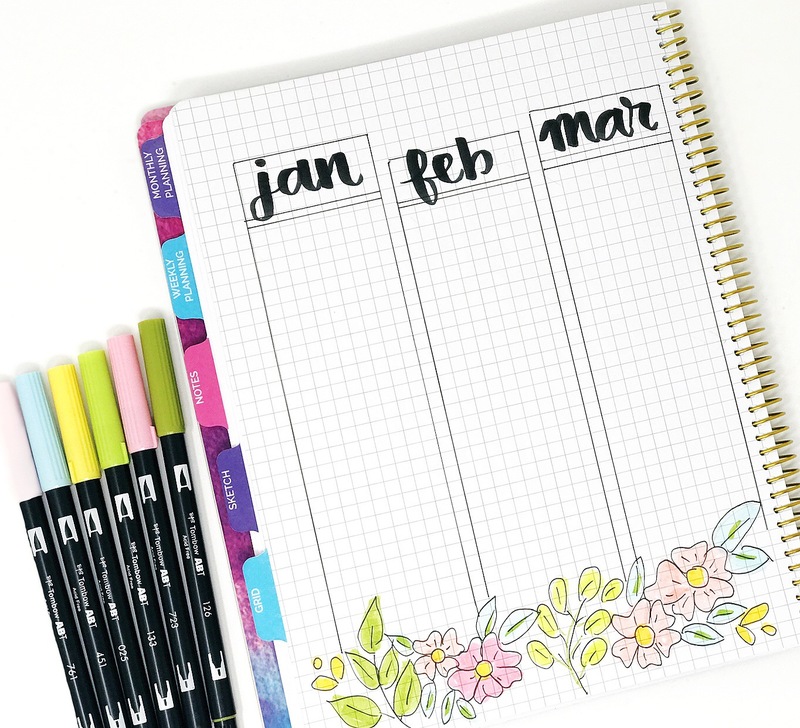 The planner has great monthly spreads and that is where I started. I use my mechanical pencil, and the Zoom L105 Ballpoint Pen to enter all the info for the month. I also used the cute stickers that go great with the planner! And yes, I use my pencil in my planner a lot. I tend to move stuff around my calendar a bit, so writing everything down in ink doesn’t always work. With a pencil it’s easy for me to quickly erase and readjust. I love using the Jumbo MONO Eraser for this. It erases beautifully and is hard to lose on my desk! The planner has many different tabbed areas, and I love having a dedicated notes area! This is a great space for a brain dump and overflow of thoughts. 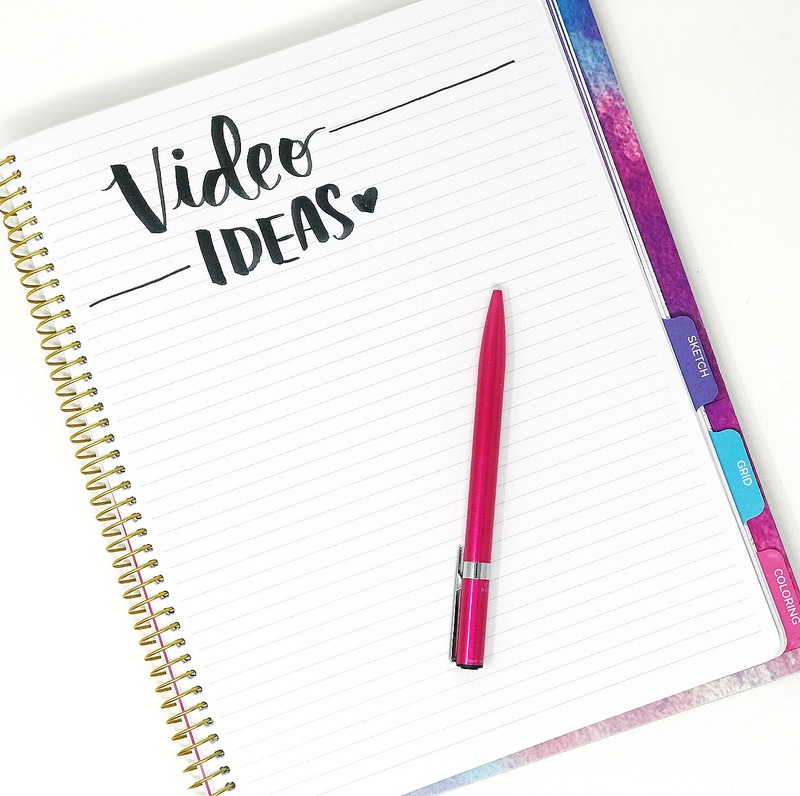 I created a page to write down all of my future video ideas and decorated the page with some quick brush lettering using my favorite Dual Brush Pen N15. Now I’m excited to start filling the page with ideas! 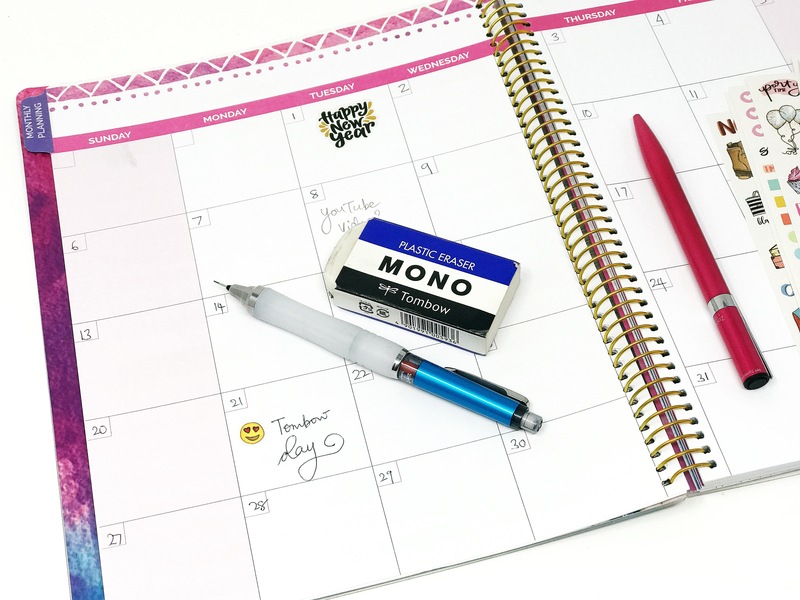 The grid pages in the planner are perfect to do some dot journaling! I created a simple spread with 3 months at a glance. To decorate the page I used Dual Brush Pens and drew simple flowers. Choose really light and simple colors and have fun!